The Science of Yoga – Glass Half Full with Leslie Krongold, Ed.D. In this episode my guest, Murali Ventkatrao, discusses the yogic perspective on health and current scientific research exploring how yoga, pranayama (breathing), and meditation affect human physiology and has the potential to treat many pervasive diseases. 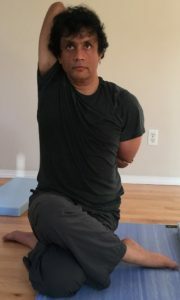 For additional information about Murali and an introductory webinar delving deeper into the science of yoga, visit the Ananda Institute.